Autism is a lifelong developmental disability that affects perceptions of the world and interactions with other people. About 700,000 people, or one in 100, live with an autism spectrum condition (ASC) in the UK and there is greater prevalence among males. Children with ASC may experience differences in sensory perception and impairment of thought that can affect their responses, as well as impairments in language, communication and social interaction. This means they can have difficulties interpreting facial expressions, gestures and timing in social situations. Children with ASC often visit emergency departments (EDs) for non-urgent reasons, but can be overwhelmed by the bright lights and loud noises. Their sensory overload can then prompt challenging responses. Communication is not necessarily an intuitive process so, if health professionals have a limited understanding of ASC, children with the condition can find communication even harder. 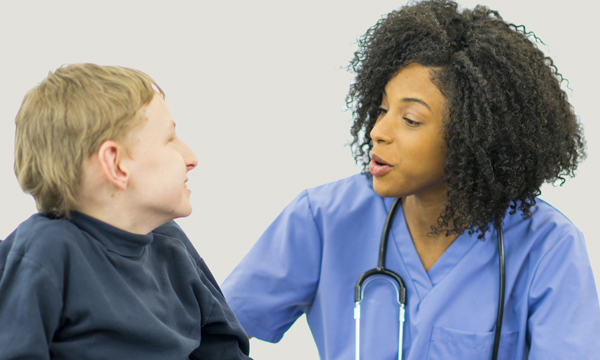 An article in this month’s Emergency Nurse explains how the specific needs of children with ASC can be overlooked in paediatric EDs, with negative consequences for diagnosis and treatment. The author recommends a multi-strategy approach involving reasonable adjustments to accommodate each presentation. The National Autistic Society and the Department of Health have issued guidance on communication, pain and distress in the form of a passport presented on a single page for ease of use. All staff working in EDs are encouraged to refer to the Autism Teaching Tool and to make reasonable adjustments that foster a more calming ED environment for children with ASC.